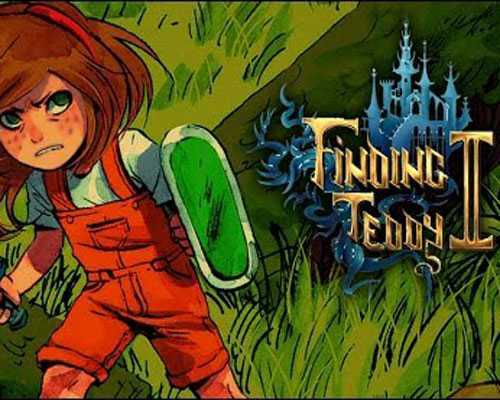 Finding Teddy 2 is an Action, RPG and Adventure game for PC published by Plug in Digital in 2015. Tarrant is going to find Teddy again. So, You have to help her start the dangerous adventures in the places such as jungles. Her lovely toy has been trapped by the enemies for another time. If you want to find Teddy, There are many ways to get to this lovely toy. But the character need to be equipped by weapons like shield. Two items will be given for free at the start of the game. But they have low levels. It means that you should upgrade them by passing the story mode. Otherwise, They will be useless. When you defeat any of the enemies on the way, Some scores get added to your account. These scores can be used for upgraded and such things. The world that you enter it, Is full of legendary and magical forces. So, The players can use this kind of energy sources too. Remember that the magical powers can be used for limited times at Finding Teddy 2. Your character’s skills should be upgraded too. Because she needs new abilities to fight new enemies. The enemies’ health points and powers get increased by finishing the primary levels. That’s why Tarrant’s abilities should be improved before she meets the other characters. Although Finding Teddy 2 has pixel graphics, It has beautiful environments which are hand-drawn. The players will enjoy exploring the worlds of magic for sure. The developers have worked on gameplay more than graphics. Because they wanted to make a better experience of Indie games for the fans of this genre. Ty it now! 0 Comments ON " Finding Teddy 2 Free Download "